Best known for their travel systems, Graco has never been really known for making serious all-terrain strollers but that has changed. I had the chance to preview their FastAction Fold Jogger with Click Connect last year and was excited that Graco would be introducing a true jogger at such a reasonable price. Graco calls it the ‘ultimate cross over stroller’ and I agree. Priced at $299, which includes the stroller, SnugRide® Click Connect™ 35 car seat and car base, this stroller is a STEAL for parents who want to stay active after their baby arrives! Over the last few months I have been using it with my son as I get back into shape. Out of the box all that was needed to do was pop on the three wheels, attach the parent tray and the childtray. The whole process literally took less than 5 minutes. Our front wheel was in need of a bit of air so we pumped it up and were on our way. From birth the Graco FastAction Fold Jogger can be used with any of Graco’s Click Connect infant seats. 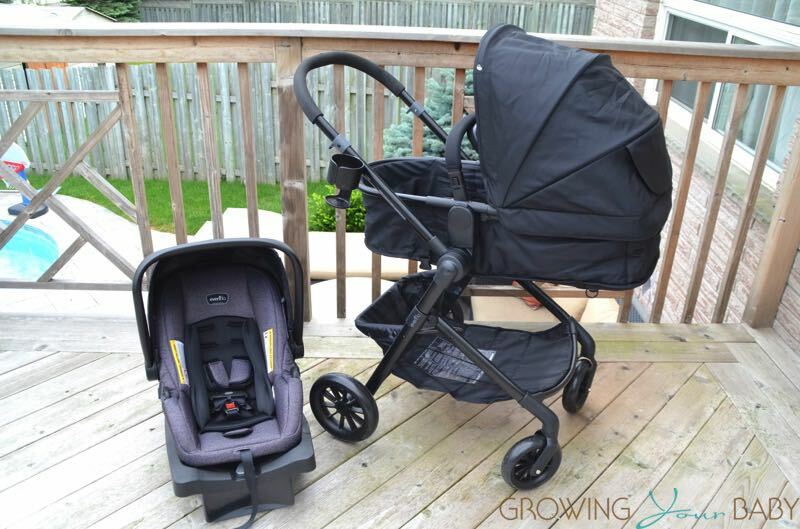 We tested ours with the SnugRide® Click Connect™ 35 car seat that was included with the stroller and also the SnugRide® 35 Infant seat. Both seats locked in the place, the only difference was that the Click Connect™ infant seat gave an audible ‘click’. 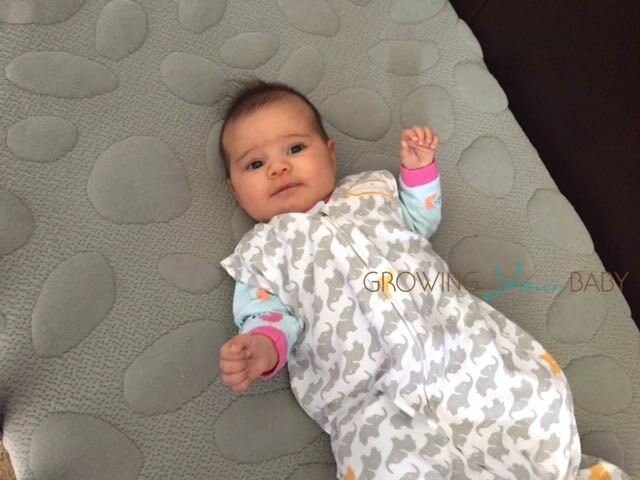 Parents should know, however, that the Graco FastAction Fold Jogger is not recommended to be jogged with if you have a baby under the age of 9 months. 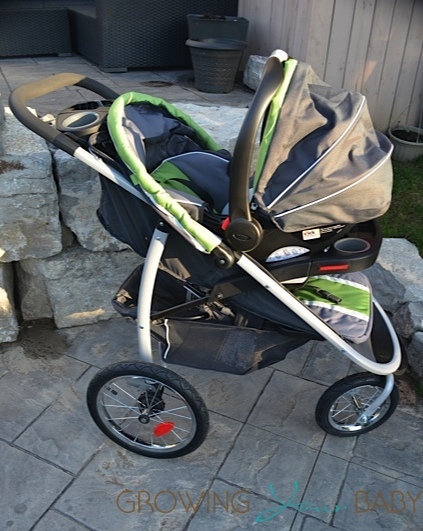 The stroller also should never be used as a jogger with an infant in the seat. From 6 months+ the stroller seat can be used without the infant seat. While equipped with a 5-point harness that is adjustable to 3 heights, the seat has a one-handed recline that can be rested in 3 positions. At the lowest point the seat is comfortable, but not flat enough for a newborn. Despite its thin looking seat, my son fit in it perfectly with room on both sides. For your child’s convenience while out, Graco has added a pivoting childtray to hold 2 sippy’s and some snacks. 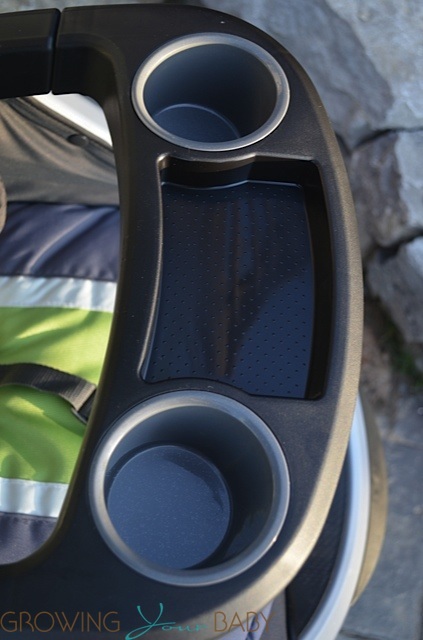 For parents there is a tray that can be connected on the handle bar. This convenient spot features a spring loaded phone dock that will hold a device in portrait or landscape. Underneath there is a case that can hold keys or money. Parents who want to keep a cold drink handy have 2 spots on the tray. 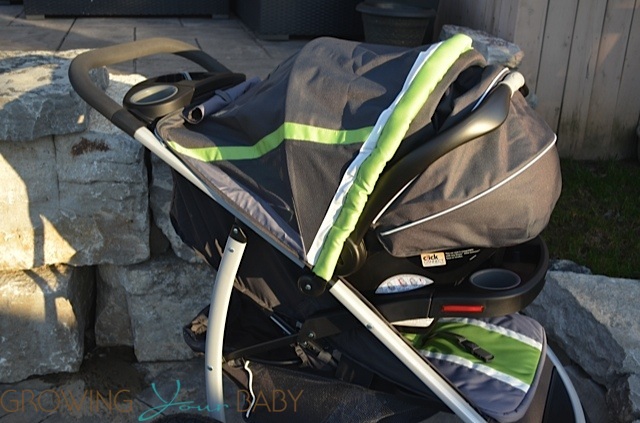 To protect your child from the elements the Graco FastAction Fold Jogger has a big canopy. Not ideal for rainy weather because it has mesh on the sides, it is perfect for a sunny day. It also creates a complete cover for a newborn when the stroller is being used as a travel system. 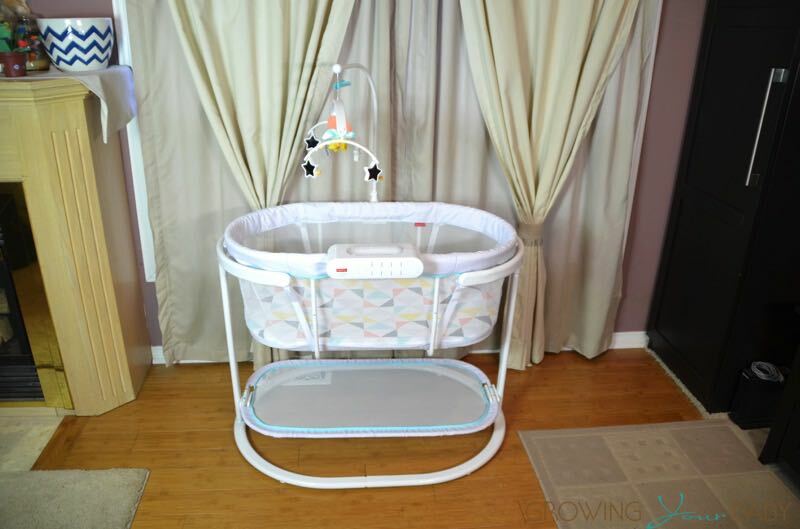 To allow you to keep your eye on your baby, there is a mesh peek-a-boo window that can be velcroed back. For storage, the Graco FastAction Fold Jogger has a huge basket underneath. Both deep and wide, this basket could easily hold a big diaper bag and additional items if you were spending the day out. It is also wide open at the back so it is accessible from different angles. 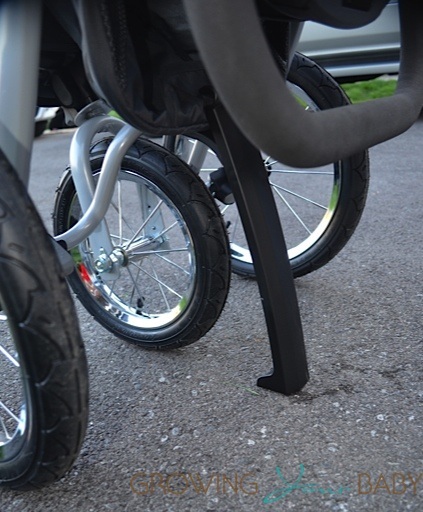 The Graco Fastaction Fold Jogger pushes beautifully thanks to 3 bicycle jogger tyres. 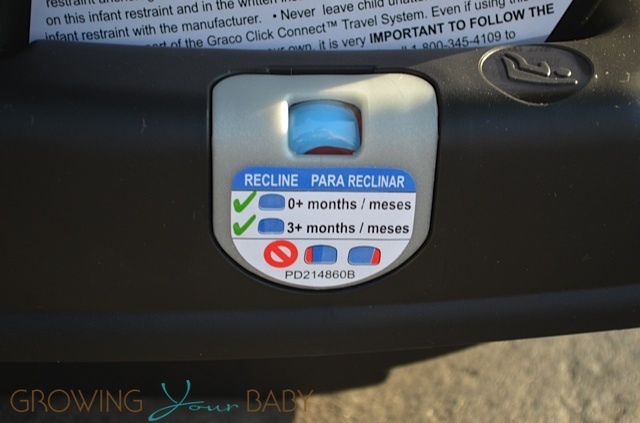 Graco uses 2- 15″ wheels on the back and a 12″ wheel on the front to achieve a smooth, even ride for little adventurers. During my test, I took the stroller through the park, the woods and even through the sand. It rocked all terrains(even the sand!) and also kept up with me as I made my way through the neighbourhood. 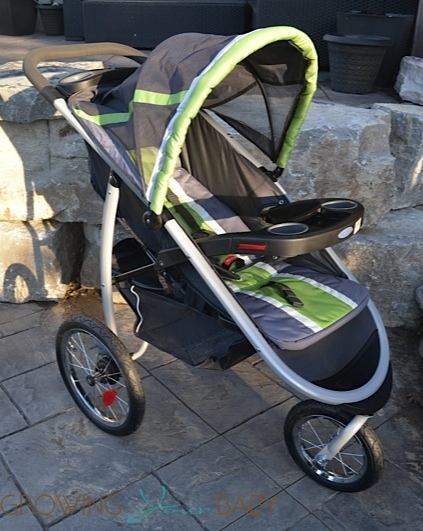 Parents who are going to use the Graco FastAction Fold Jogger as a jogging stroller will also like that it has a tether in the basket that can be attached to your wrist to ensure it doesn’t get away from you while you are on a run. On of my favorite features of this stroller is the fold. True to it’s name, it is easy and FAST. 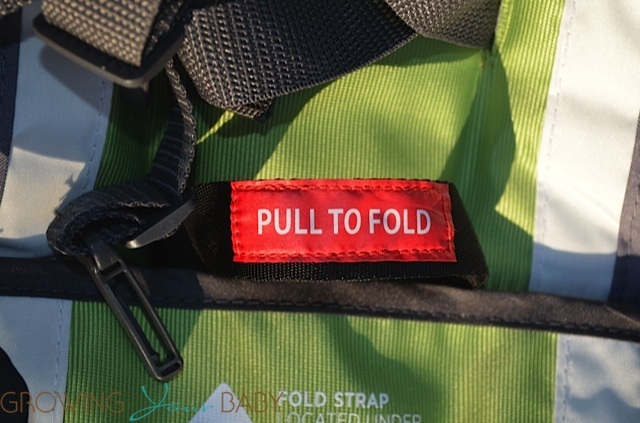 Just tug on the ‘Pull To Fold’ belt on the bottom of the stroller seat and the stroller collapses in half. Plus, thanks to a lever at the bottom of the stroller, the jogger stands on its own(as long as the back wheels are locked). 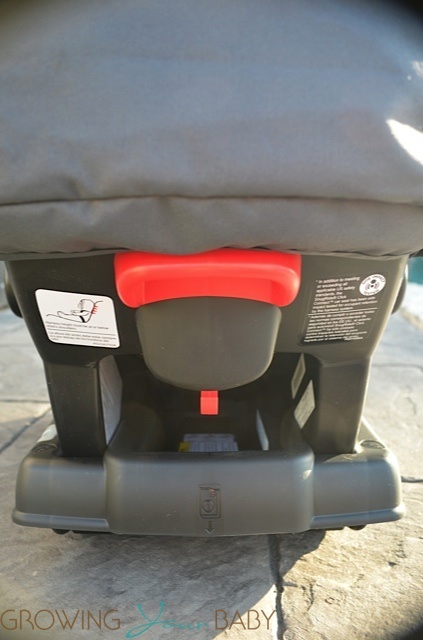 As I have mentioned the SnugRide® Click Connect™ 35 car seat is included with the stroller. Designed to be used rear-facing for infants 4-35 lbs, the SnugRide® Click Connect™ 35 is one of the leading infant seats on the market. Graco has been long known for providing a safe infant seat for a reasonable price and this seat continues that trend. Parents will like that the seat itself weighs just 7.5lbs. 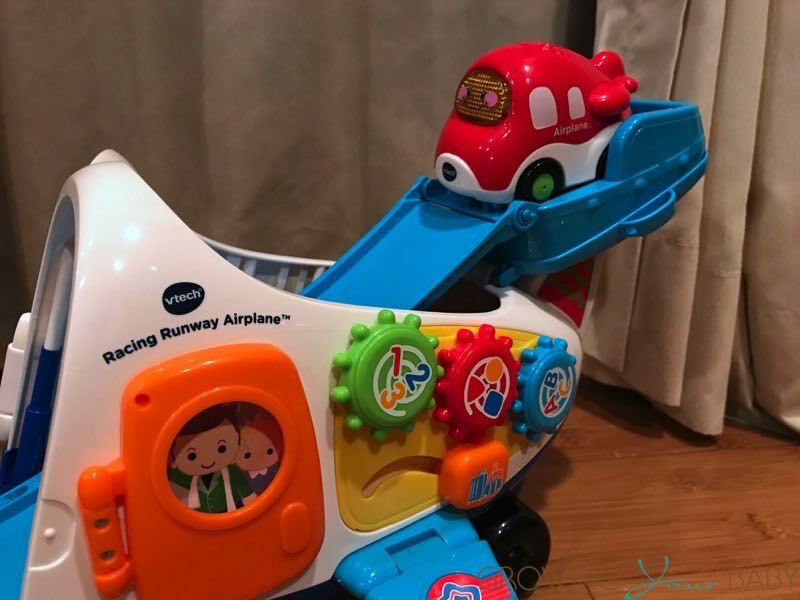 It may be light in weight but it is still packed with many safety features that will save your baby’s life if you were involved in an accident. The seat can be installed in your vehicle Rear-Facing Only using LATCH or with the belt pass through. It has a green indicator and 6 position dial to let parents know if it has been installed correctly. This Summer I saw quite a few moms pushing the FastAction Fold Jogger at various attractions and festivals that we attended. 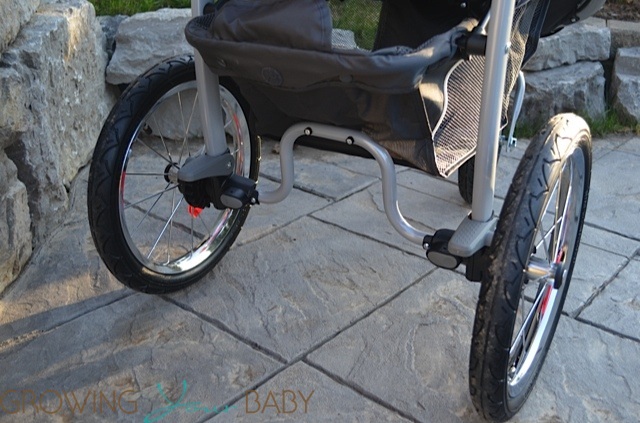 Perfect for all terrains, I can see why it is so popular with new moms. Hello, I found your review very helpful, however, I do have some questions to reassure myself that this would be the perfect stroller for me. I am not a mom yet, we are only planning a baby, so the questions might be a bit strange, but I really need to ease my mind, so to say ? Also, with the tires providing the only suspension – is the ride really smooth for an infant, for example, in the woods? I have read many good reviews about this jogger, however, there have been one that states that it bumps a lot on rough terrain. 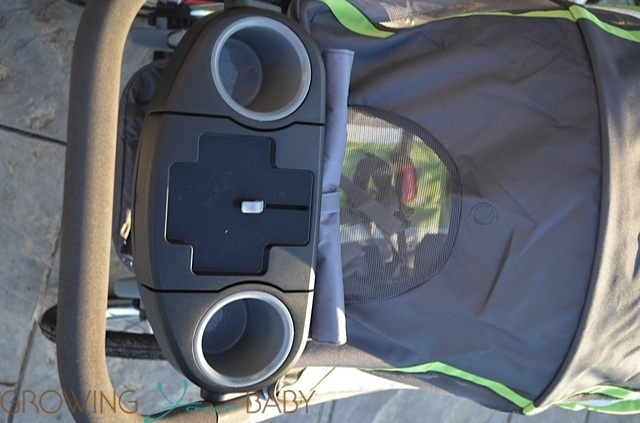 And about the rain cover – is it possible to use it with the infant car seat? Thanks in advance. I really like this jogger, I can’t imagine a „classic” baby carriage with my lifestyle, however, we can’t buy this jogger in our country, so I need to gather as much information as I can.